A couple of months ago, we published a series on selling promotional caps into the education industry; we covered college, high school, elementary and non-traditional learning. Today, we’re going to take a broader look at the education industry and what it means for branded hats. After reading this, you’ll be able to convince those old schoolers that despite what they’ve heard, caps are perfectly acceptable and even preferred mediums of advertising for schools. Can you believe the use of phones and tablets in class is encouraged nowadays? Times are a ‘changing, folks! There are 2,618 colleges and universities in the United States, and they are a gold mine of promotional products. Everywhere you look, people are wearing branded hats or sweatshirts, even fanny packs. Garments are branded with the university’s logo because students are proud of their school and its legacy. Colleges give out swag bags to incoming freshmen; it’s your job to make sure they include a cap. Logoed hats are an easy sell to bookstores and local staples in the community that are looking for items to sell or give away. If four years of collegiate Panhellenic membership taught me anything, it was this: we will buy literally anything if you put our letters on it. If you’re wondering where all of the money goes that you put into your daughter’s account each week, check out all of the sorority paraphernalia in her dorm next time you visit. More than 800 campuses support fraternities and sororities. Hats sell themselves to the Greek system with their functionality alone. Caps are perfect for bad hair days and running across campus when students are late for class. And nothing pairs better with running shorts and rubber boots on a rainy, spring-semester day. People go crazy for college sports, especially those of us residing in the southern regions (I’m looking at you, SEC). Make sure universities are including branded hats in their marketing mix. They’re guaranteed to make a profit when sold at or around game time. Students, alumnae, and fans will purchase gear to wear to games and show their support for the team. Many universities offer a list of campus clubs and student organizations on their website. With a little digging, you can contact decision makers directly and let them know what branded hats can do to grow their organization and expand the impact they make on the community. I’m from Small Town, U.S.A. So, I can’t speak for big cities, but I know that where I come from, we love our Alma Mater. We bleed those school colors and belt that Fight Song. You don’t know what football is until you’ve watched it on a warped wooden bleacher under a faded, chipped press box on Friday night. School spirit caps can be sold as a fundraiser at events, games, or the school store. They can also be given as prizes to students for their academic achievements. There are countless ways the school can distribute them, once they place the order. But how do you get your foot in the door to showcase your products? Booster Clubs, Parent Teacher Associations (PTA), and Parent Teacher Organizations (PTO) are groups made up of parents and faculty who come together to serve students. They do things like raise money so a team can attend an out of town tournament or provide snacks and pencils during standardized tests. These groups can act as a gatekeeper; if you build a solid relationship with them, they’re likely to recommend you and your school spirit apparel to other departments within the district. Did I mention football, yet? Cause, you know, we’re less than a month away from the best sports season there is. Over 55% of the 14.9 million high school students in the U.S. are athletes. It goes without saying that branded hats are the perfect addition to any sports team. The players will love them. 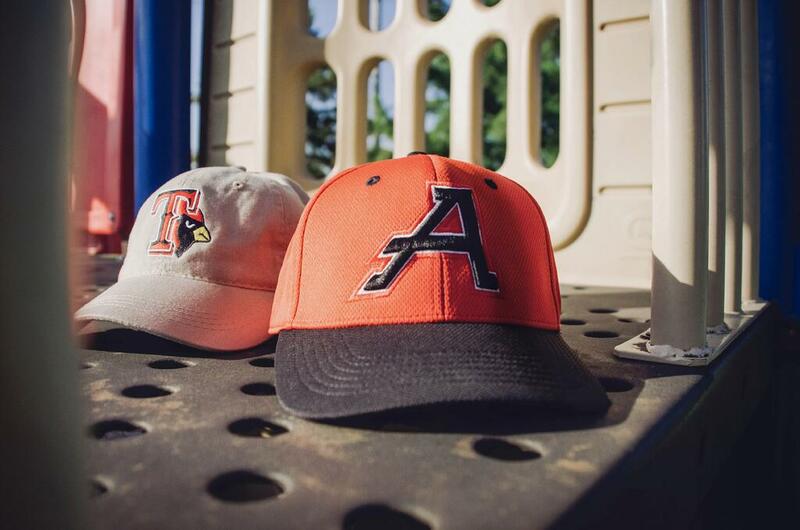 The fans, parents, alumnae; the entire community can get behind a high-quality cap that supports their school and all its athletic endeavors. There’s a reason they’re called baseball caps, you know. 29% of students are involved in a school club or organization. While there aren’t quite as many organizations in high school as there are in college, the passion is undoubtedly there. Whether it’s student government or saving the planet one recycling bin at a time; young people love a good cause. Use the relationships you make with booster clubs to reach out to school officials to see what needs haven’t been met throughout the district. Then work with them to figure out how branded hats can fill the gaps. There are countless alternatives for post-secondary education beyond the traditional college coursework. Trade schools (also called vocational schools) are institutions where an individual learns to perform and perfect a skill or trade. We’ve provided a small sample list below to give you some reference. These schools will have a much smaller enrollment number compared to conventional colleges. Promotional caps can help recruitment initiatives and allow students and alumnae to show pride in what they do and where they learned it. When I was growing up, hats were banned in the classroom. These days, the perfect way to show school spirit is right on top of your head. If you want more information on selling promotional caps into the education industry, order a Business Development Kit today! Do you have any unique ideas for selling branded hats to schools? Let us know in the comments below. For more information, follow us on Facebook, LinkedIn, and Twitter.